Product prices and availability are accurate as of 2019-04-15 20:16:04 EDT and are subject to change. Any price and availability information displayed on http://www.amazon.com/ at the time of purchase will apply to the purchase of this product. We provide fan-favorite friendly customer service. Any quality problems will be returned or refunded. HDMI source (Input): Desktop / notebook /XBOX 360/PS3/PS4/Amazon Fire Stick/Raspberry Pi/ Google Chromecast/ DVD player / Tablet PC / digital set-top box / player / digital camera / SLR camera / video camera and so on. 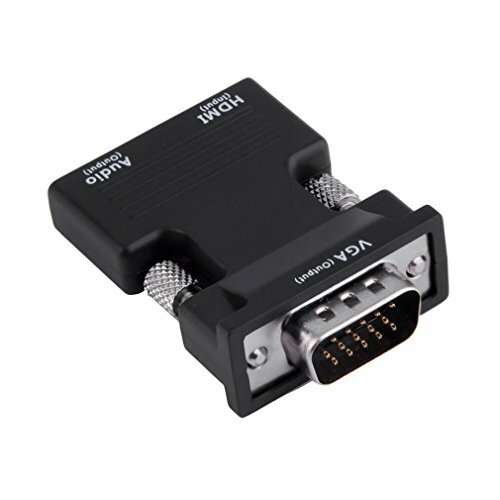 VGA device(Output): TV/Monitor/Project/LCD/LED and other display devices all with VGA input port except laptop. 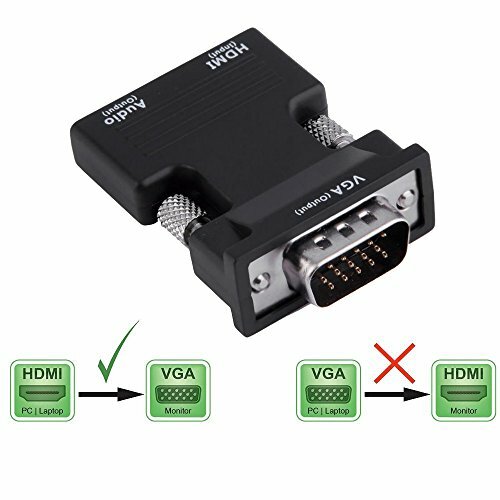 Supports 720P / 1080i / 1080P, Plug & Play without software driver installation. 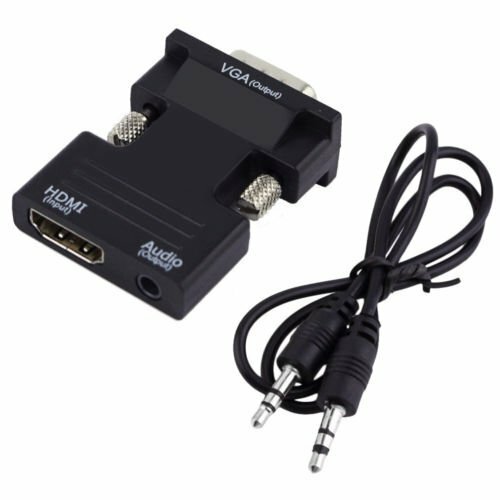 Input: HDMI, Output: VGA and Audio. 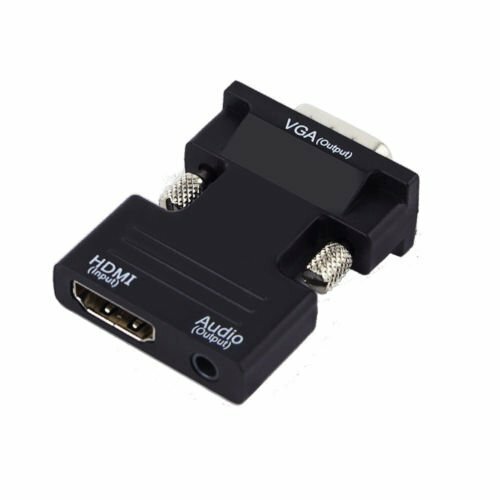 quick and easy installation with no power adapter required; No drive software needed Built-in US IC chip converts digital HDMI signals to analog VGA and audio, but it is not bidirectional.